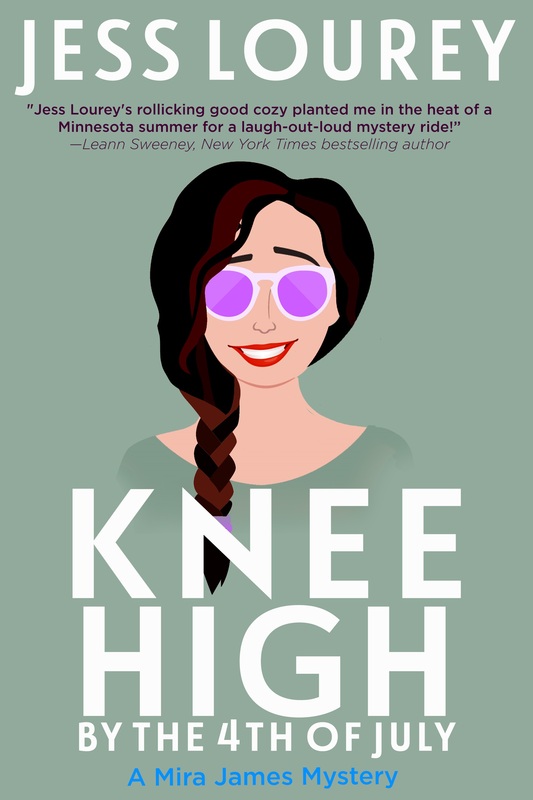 "Jess Lourey's rollicking good cozy Knee High by July planted me in the heat of a Minnesota summer for a laugh-out-loud mystery ride. A great read by a talented author." What's so wrong with admiring from a distance? Mira's quirky puppy love for Chief Wenonga, a well-muscled fiberglass statue in her Minnesota small town, might be a safer love pursuit than online dating. But when the 23-foot Chief goes missing from his cement base, Mira's not the only citizen to be crushed. The town of Battle Lake is celebrating their statue's 25th anniversary and no amount of blue, sugar-soaked popcorn balls at Wenonga Days can uplift their gloomy mood. But when Mira runs into a dead body, the town has more pressing issues. Mira's second biggest crush, organic gardening god and dead ringer for Brad Pitt–Johnny Leeson–has disappeared. Her luck with men is running out, and a killer might be moving in. With something of her own to hide, Mira hopes she can avoid the police long enough to track down the object of her mega-crush–but is Mira trailing a statue-thief, a kidnapper, or a murderer? "Knee High by the Fourth of July ...kept me hooked from beginning to end. I enjoyed every page!"